At our house we call it “flavornnaise.” I first got the idea from Heather Barnett, foodie and freelance writer of the great site, She Knows (www.sheknows.com). She says you can give your sandwich some extra love by doctoring them up with flavored mayos (also known as aioli). But whether you slather it on a sandwich or use it as a dip for fries, you’ll enjoy the flavorful kicks you get with jazzed-up mayonnaise. You can use your own homemade mayo, but creating these mixes with the good old store-bought stuff works brilliantly. Liquid ingredients will thin your mayonnaise, so adding too much may make it runny. This is especially true if you're using alternative mayos such as olive oil-based mayonnaise. Therefore, easy does it. Adding dry seasonings can help thicken a runny mayo mix. Fresh herbs give better flavor if they're chopped very finely — think pulverized. Not only does it imbue more flavor, but when you destroy the plant matter, it releases all the juices and oils to really give that flavorful punch. Whole ingredients like garlic and shallots should also be chopped very finely unless you like it chunky. 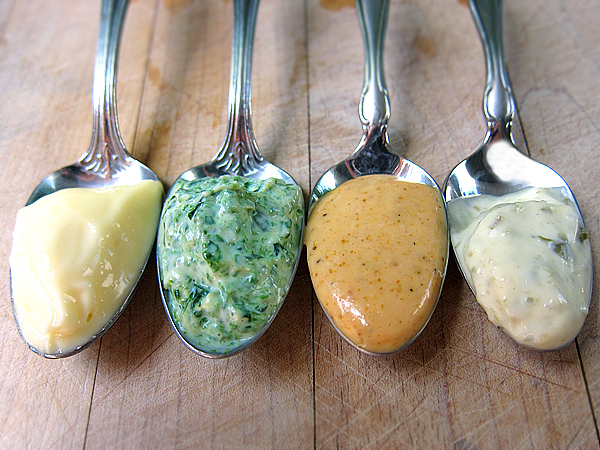 Use a mini-whisk to mix your mayo, but don't whip it — rather, mix gently. Too-vigorous mixing can make your mayo too loose and runny. And she provides a handy chart on how to make lots of flavored mayos. We show 12 combinations. For all 20, visit She Knows. Now let’s take this flavored may idea a step further. 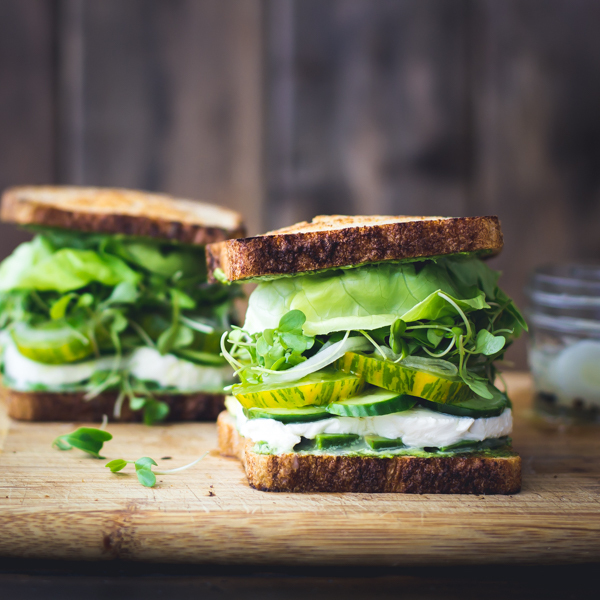 For instance, why not use one of these tasty ideas to create an out-of-this-world sandwich? But wait, not just a sandwich. I’m talking a healthy salad sandwich. 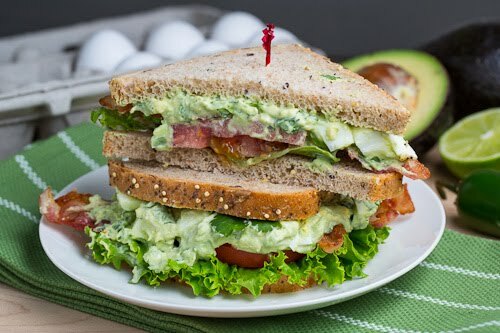 Has it ever crossed you mind to make a sandwich out of your salad? I’ve sort of done this using pita pockets. But even on regular bread, it works! Who needs a fork when you approach your salad this way. In blender or food processor, combine mayo, basil, chives, zest and juice, garlic, salt and pepper. Blend until smooth. Refrigerate until cold. When ready to make sandwiches, spread mayo mixture on all bread slices. 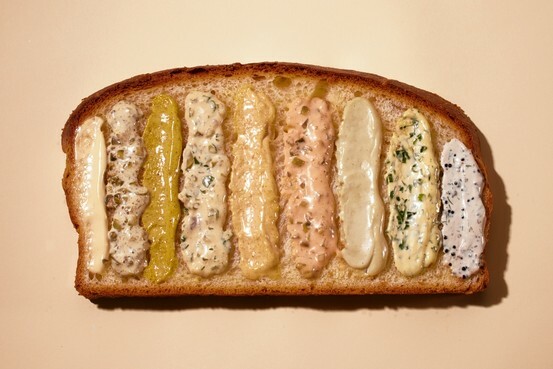 Divide remaining ingredients onto 4 mayo-covered bread slices and top with remaining mayo-covered bread slices. In closing, you can see how easy it would be to come up with even more ideas for flavored mayo. It’s limited only by your imagination. 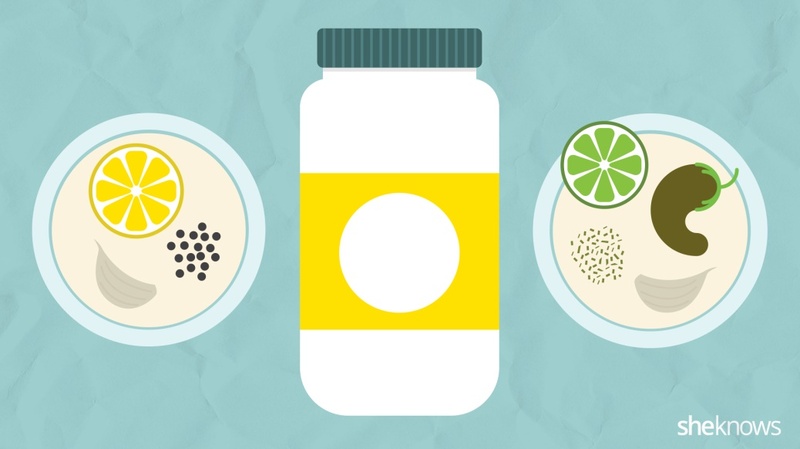 So give this approach to mayonnaise a try, and let us know what you create. Meanwhile, here’s to Heather for introducing me to “flavornnaise”—jazzed-up mayonnaise that gives so many dishes a real kick!